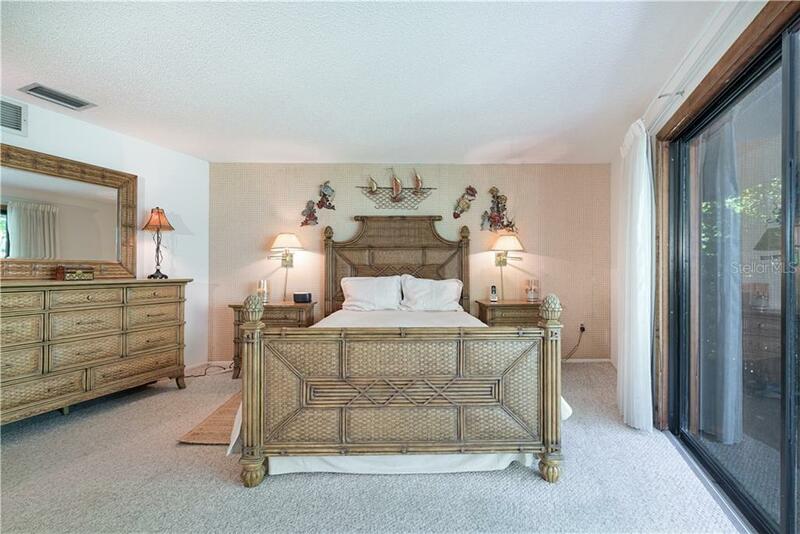 Ask a question about 6661 Gulf Of Mexico Dr, or schedule a tour. 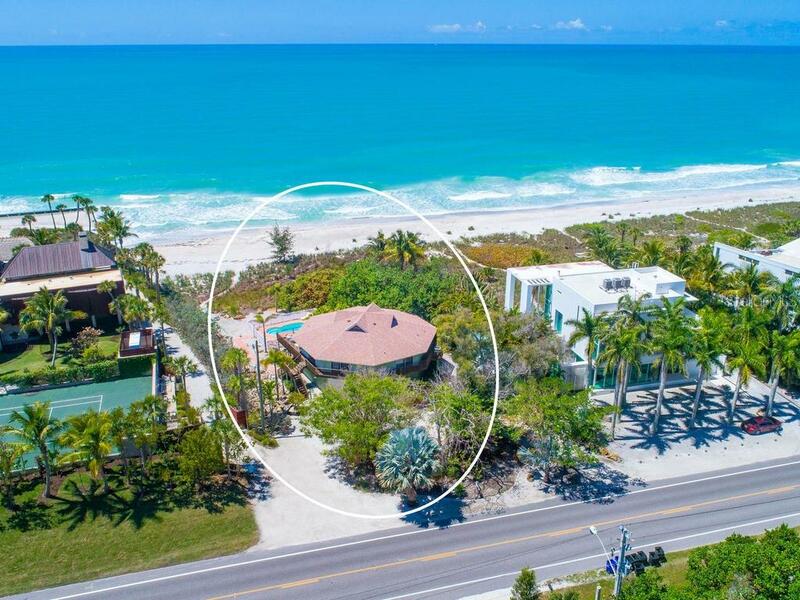 Bring your imagination to see this charming Gulf & beach front octagon house & consider renovating, expanding or building a new home there. 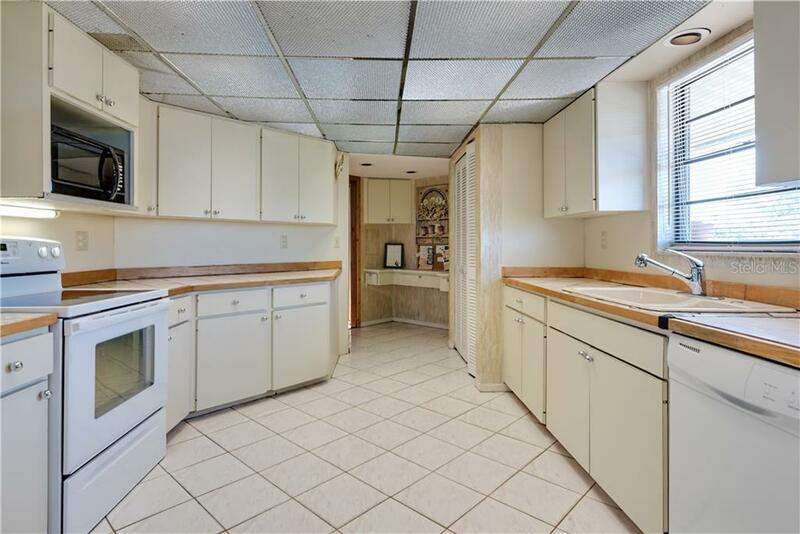 The property is in an established neighborhood of notable estates & the house sits well positio... more.ned on the lot, ready to accommodate whatever your creative spirit demands. 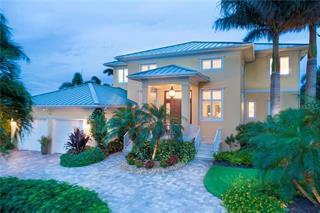 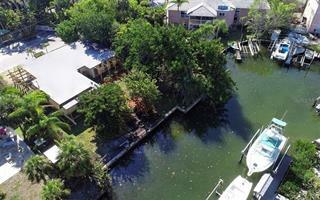 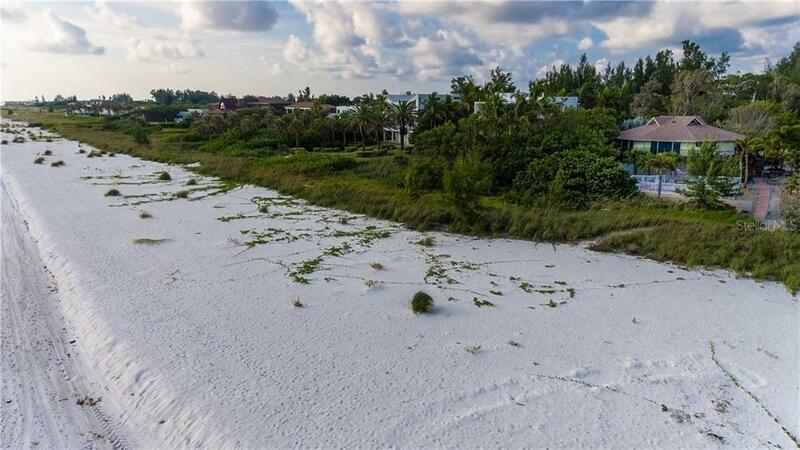 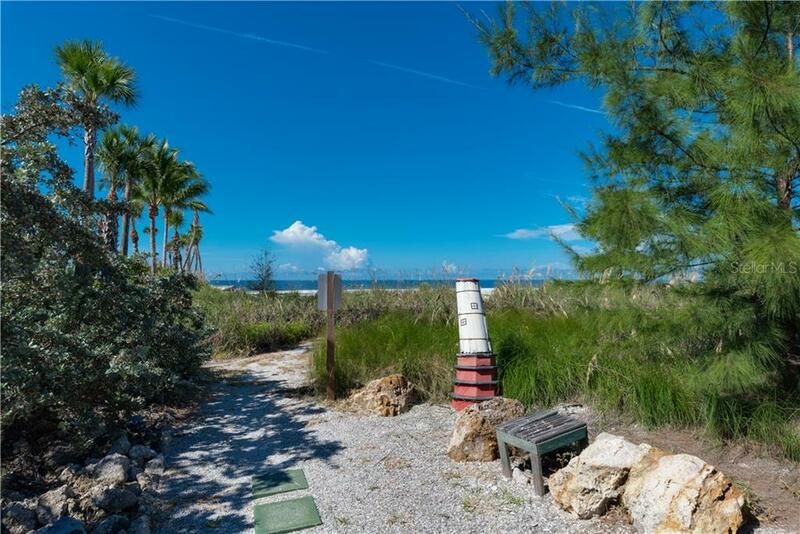 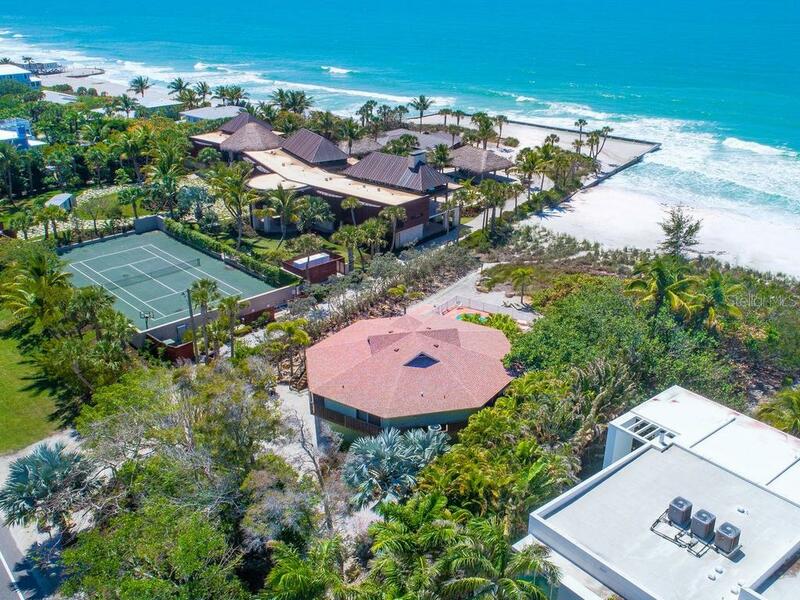 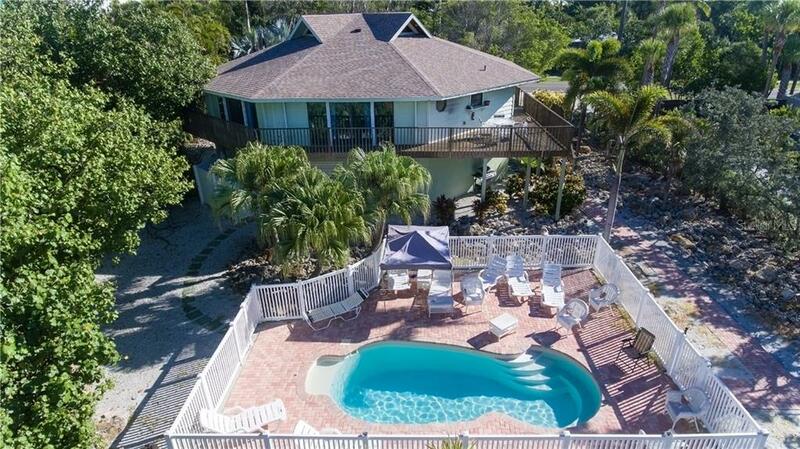 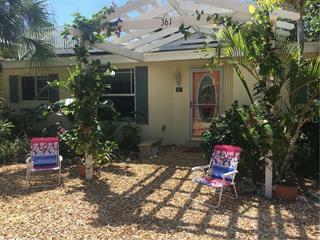 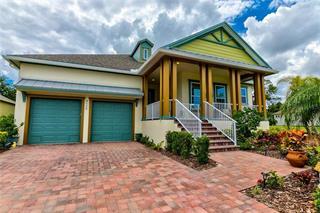 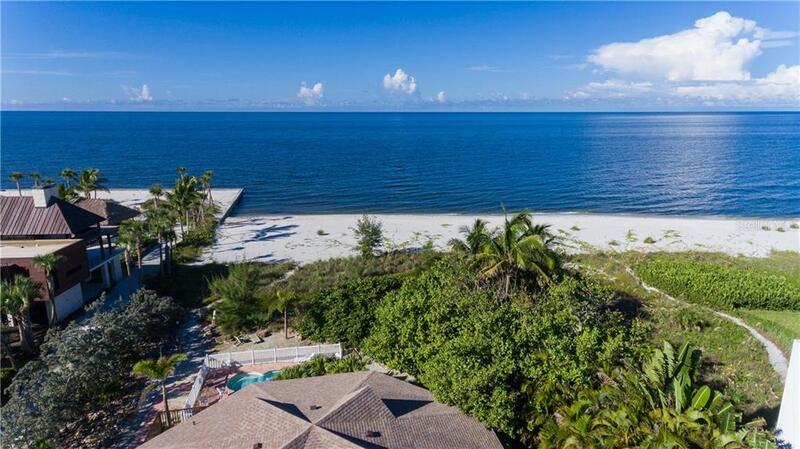 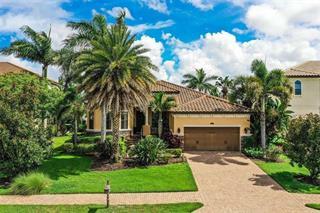 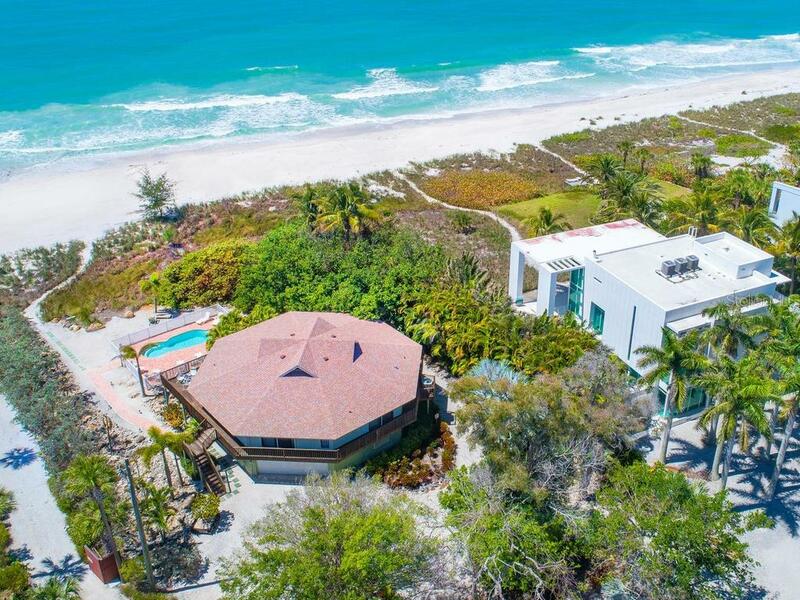 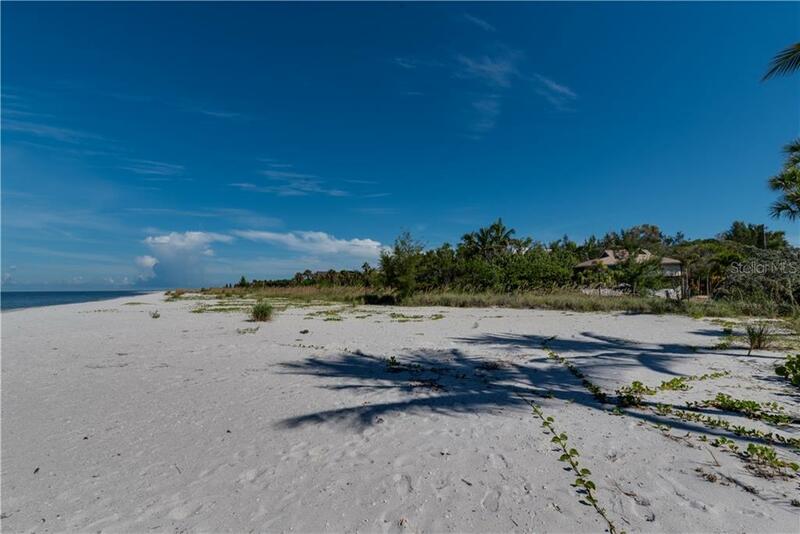 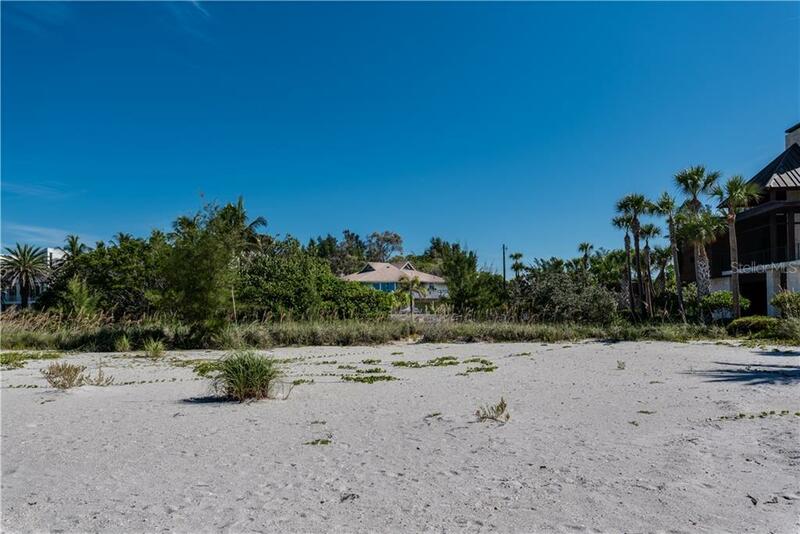 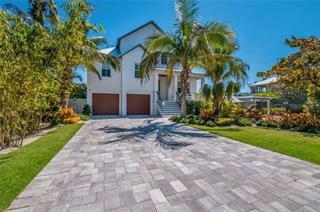 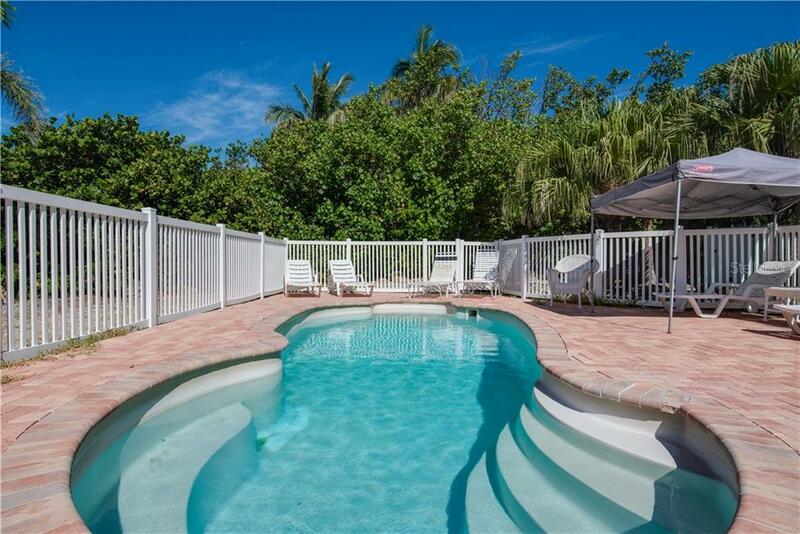 The mature landscaping provides plenty of privacy along the most secluded part of Longboat Key's twelve mile beach. 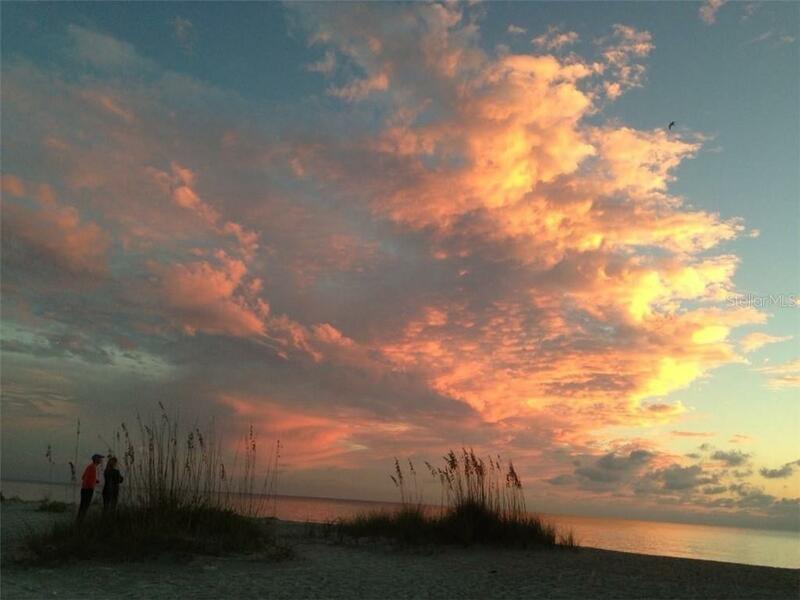 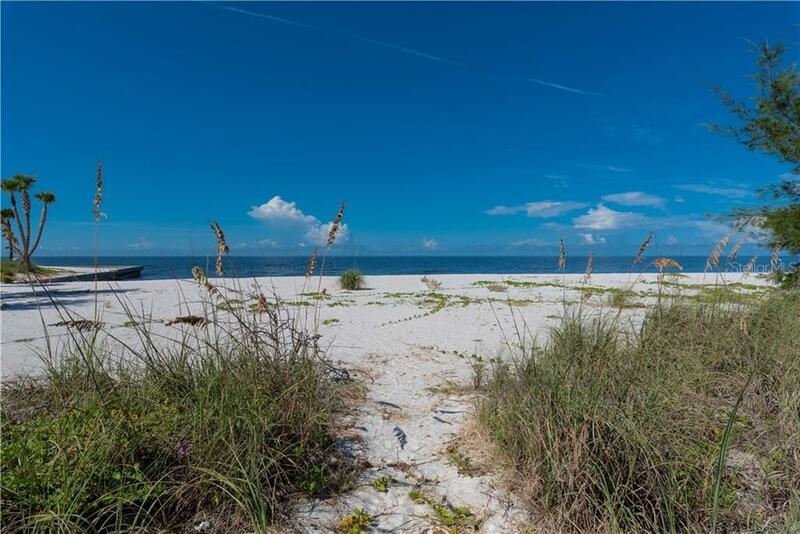 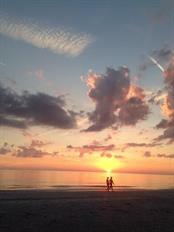 The deep, sandy beach frontage is 96 feet & the deed assigns over 600 feet from the road into the Gulf of Mexico. 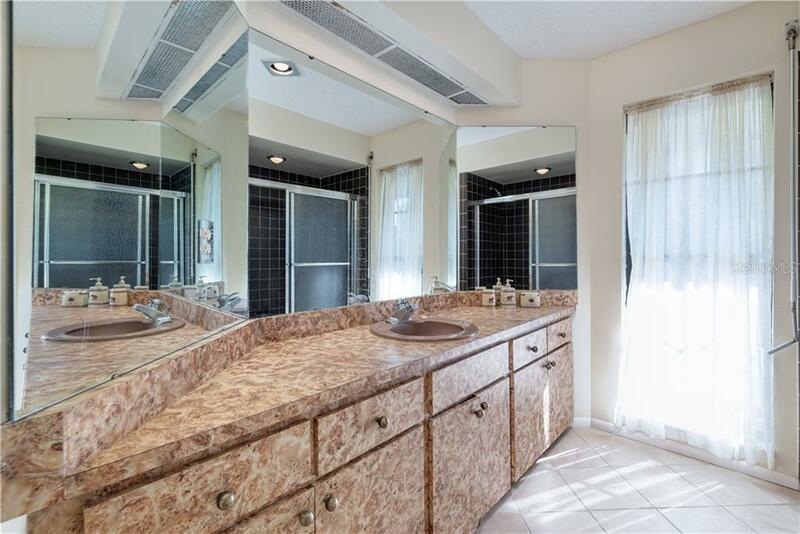 The home has a pool, outdoor shower & grilling station as well as a very large lower level garage & storage space. 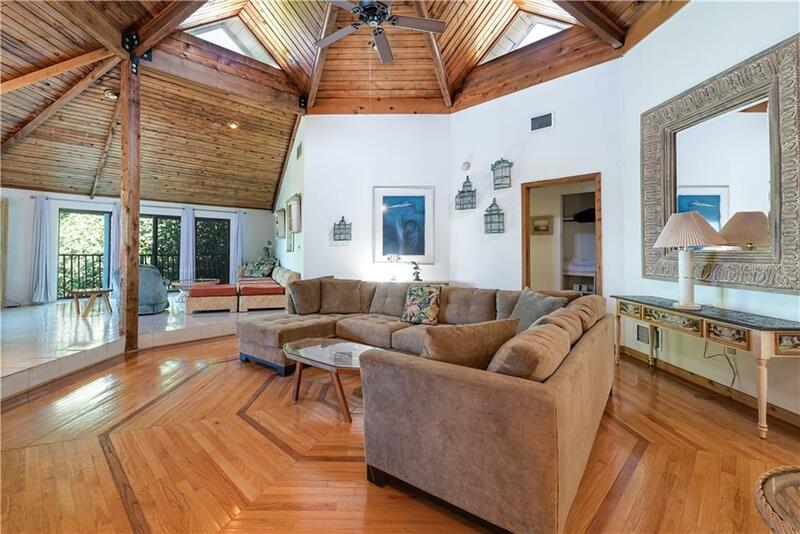 Upstairs, the living area is vaulted & comfortable enough for living, dining & entertaining friends & family. 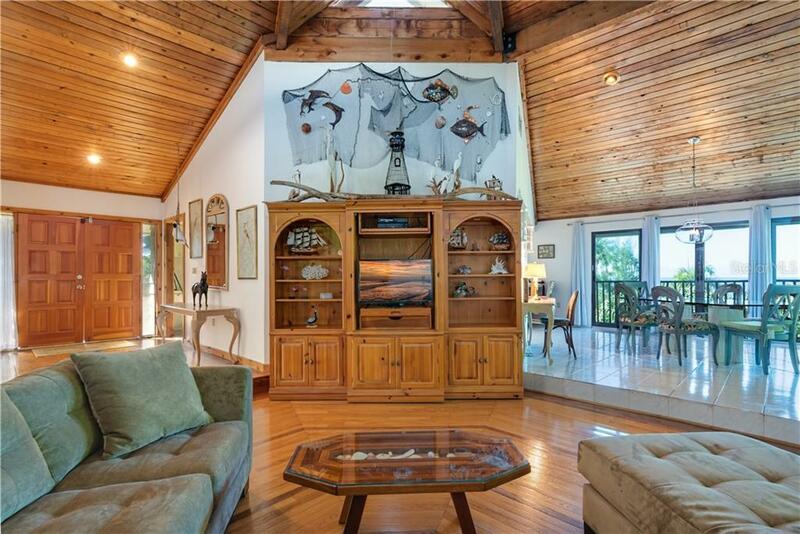 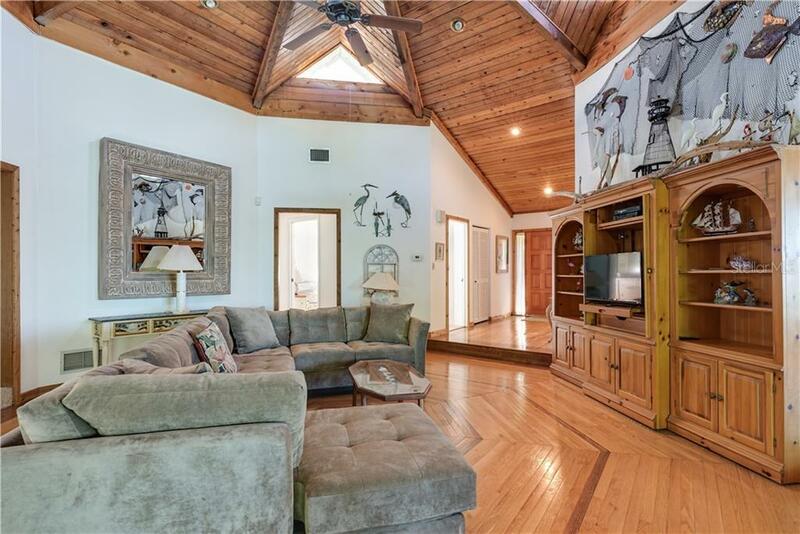 The attractive wood floors & ceiling are warm & inviting. 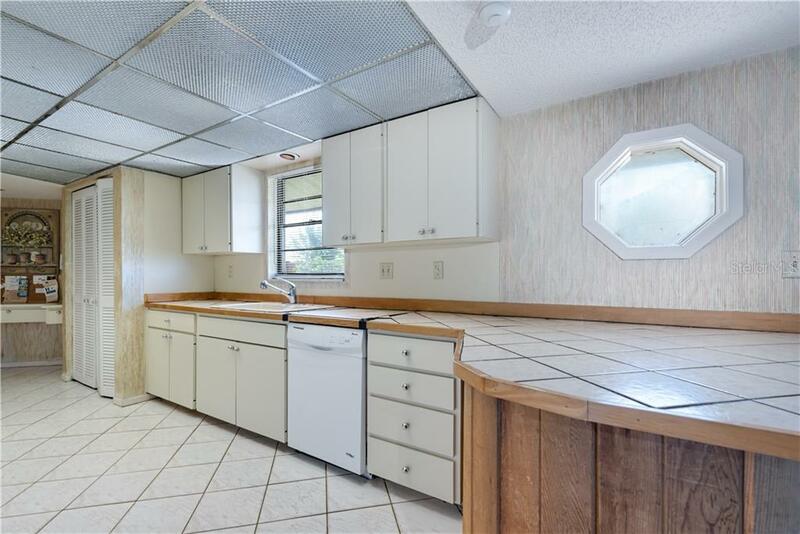 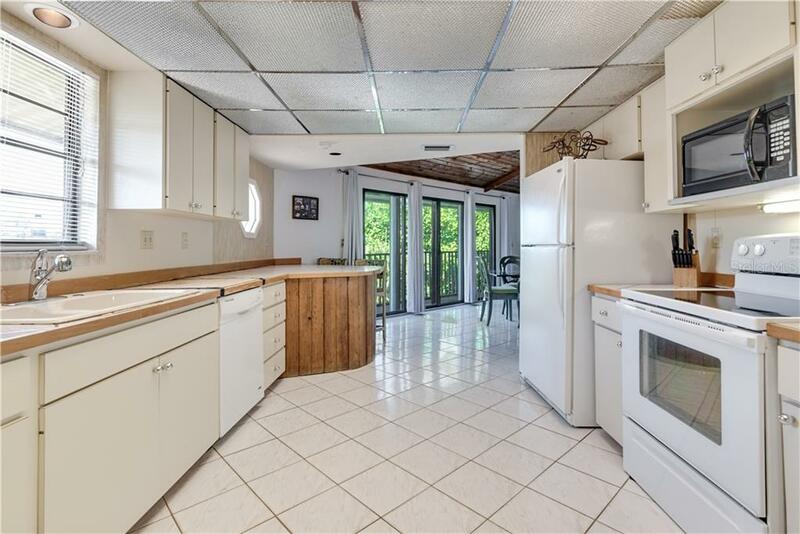 The kitchen, 3 bedrooms & 2 baths are certainly functional & the sunny, wrap around deck hugs the eight sided exterior. 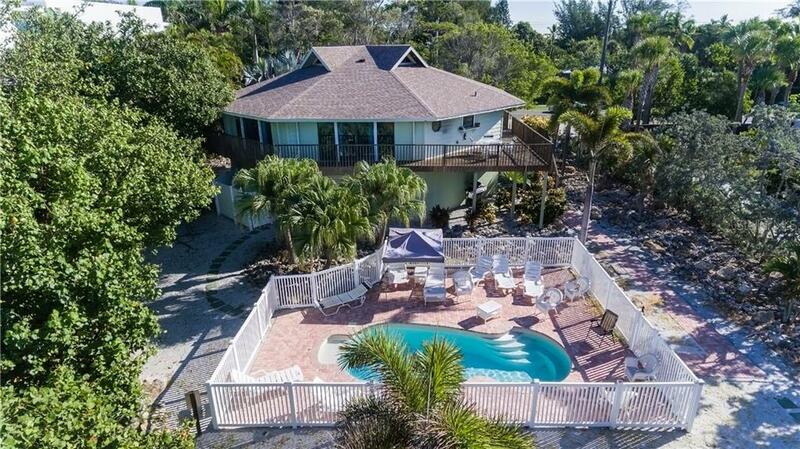 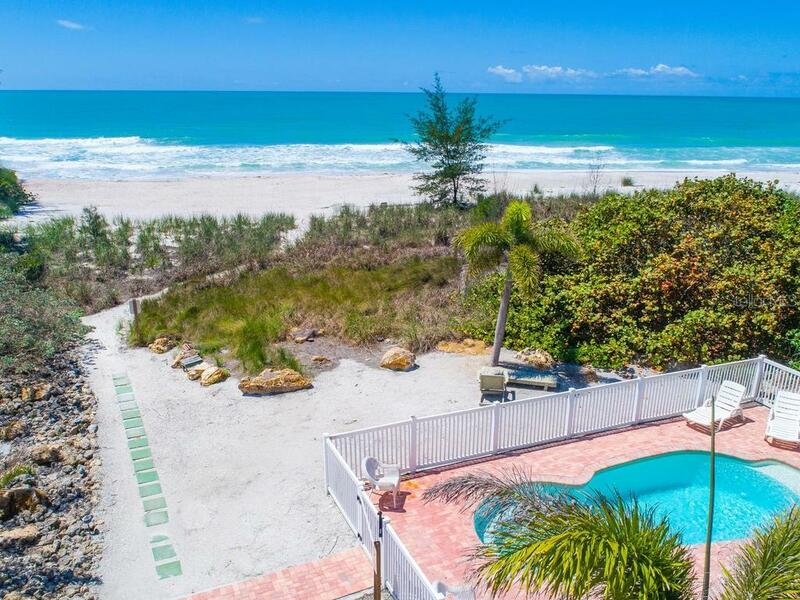 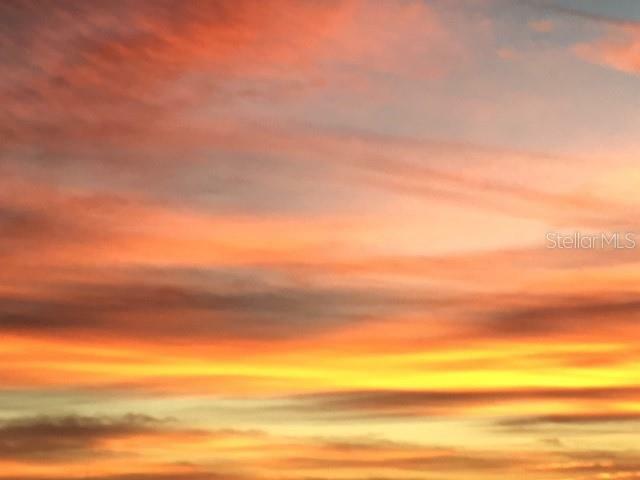 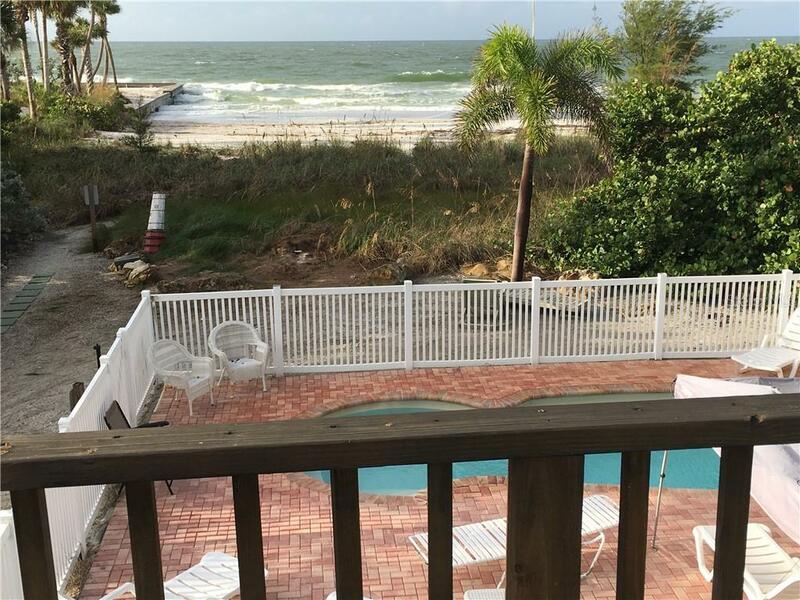 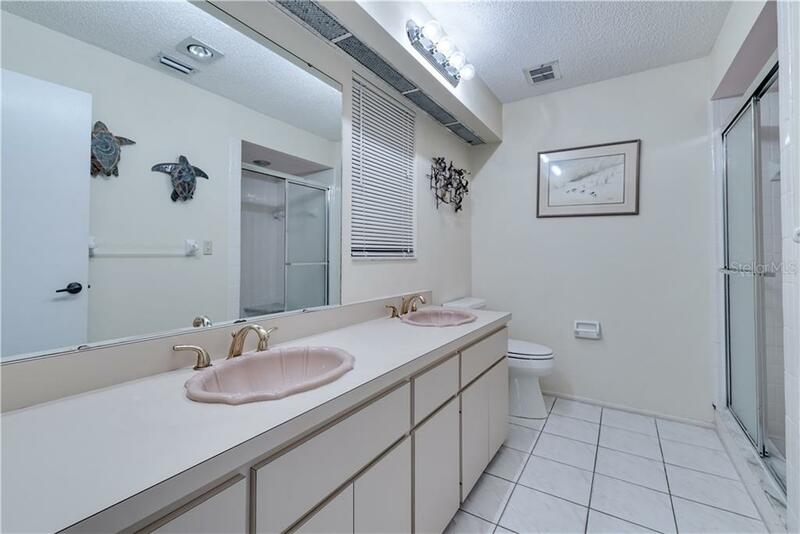 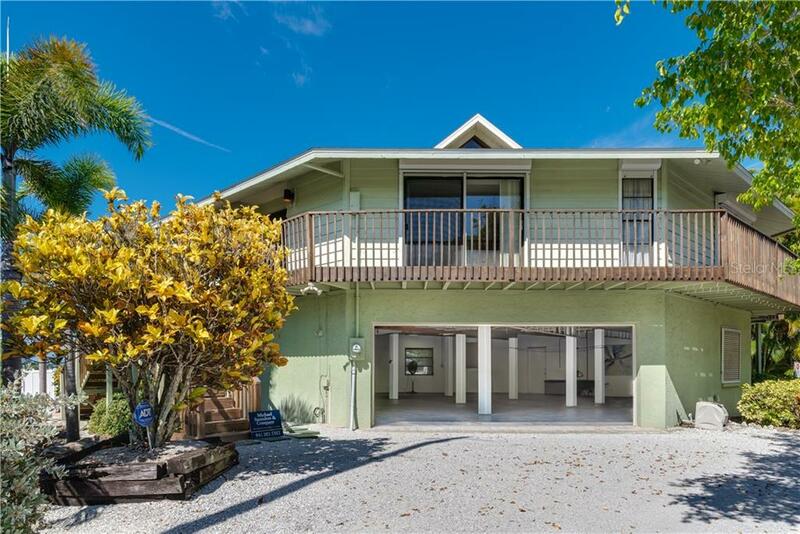 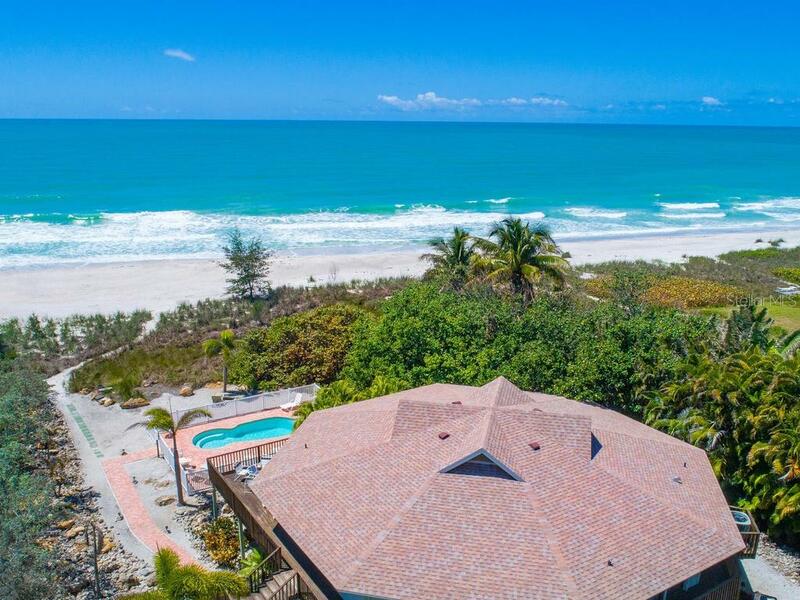 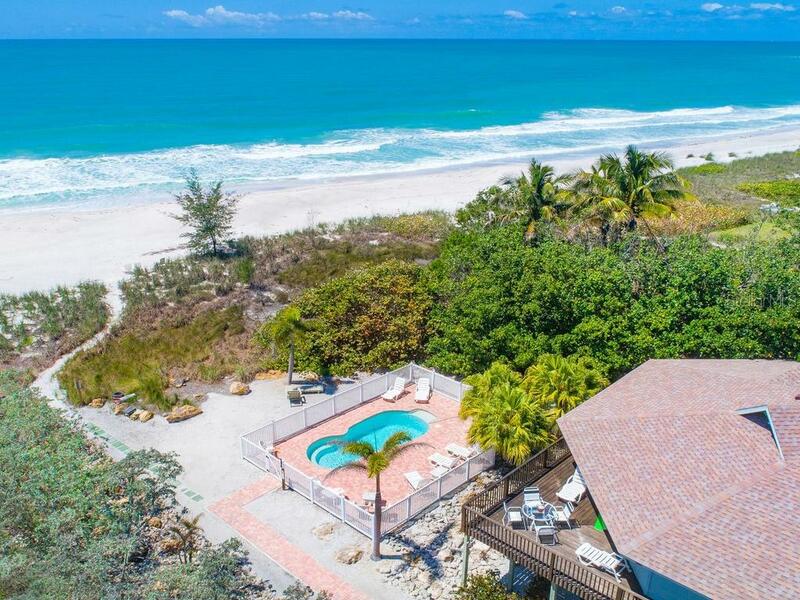 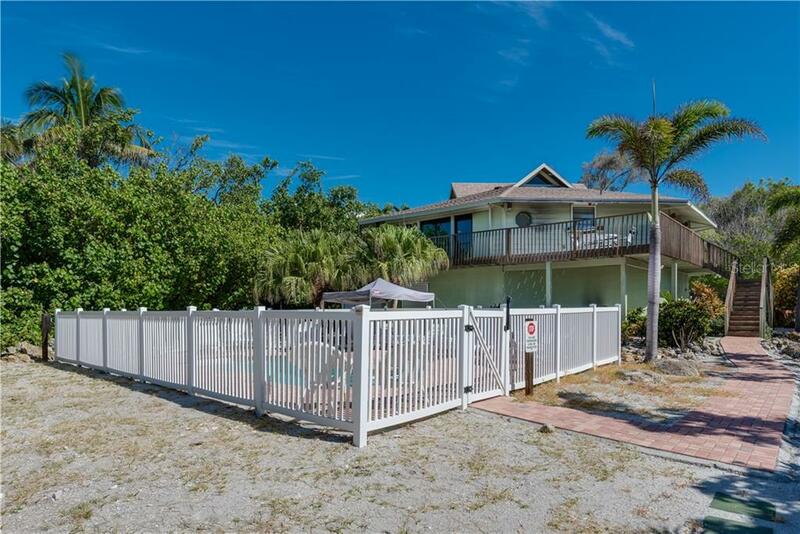 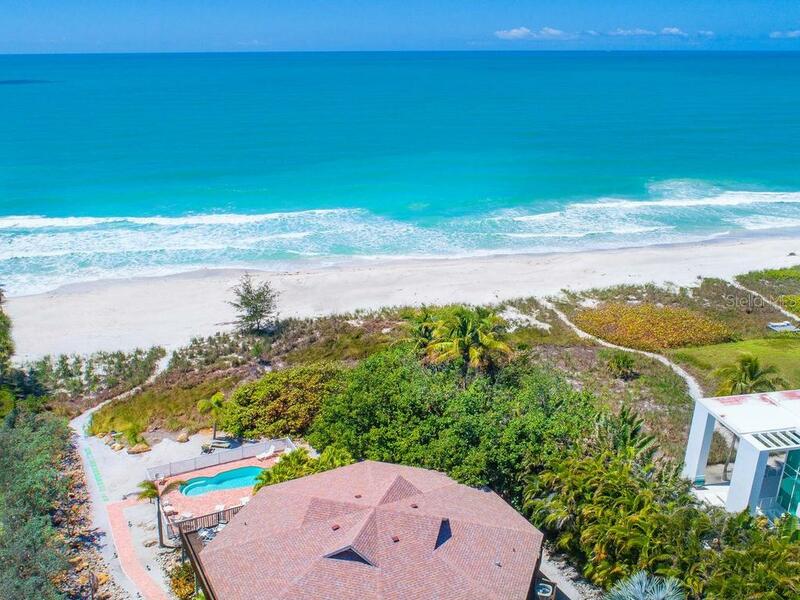 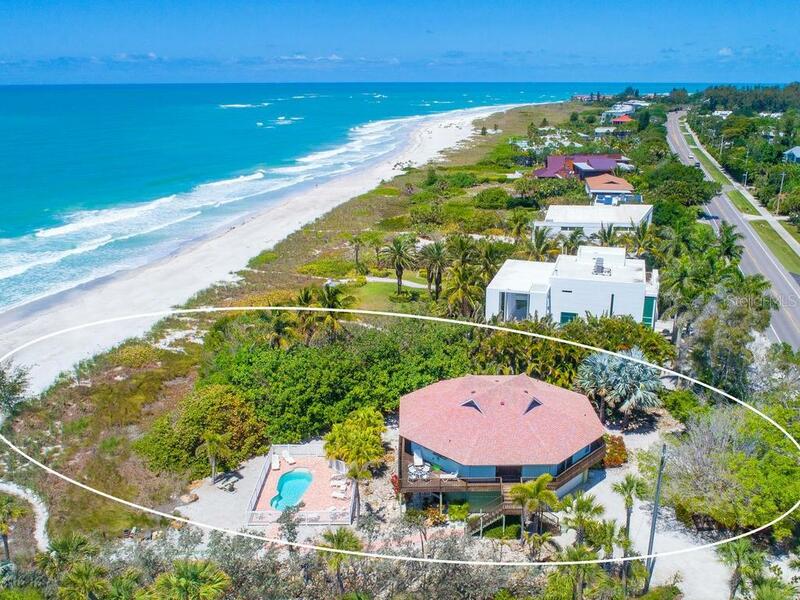 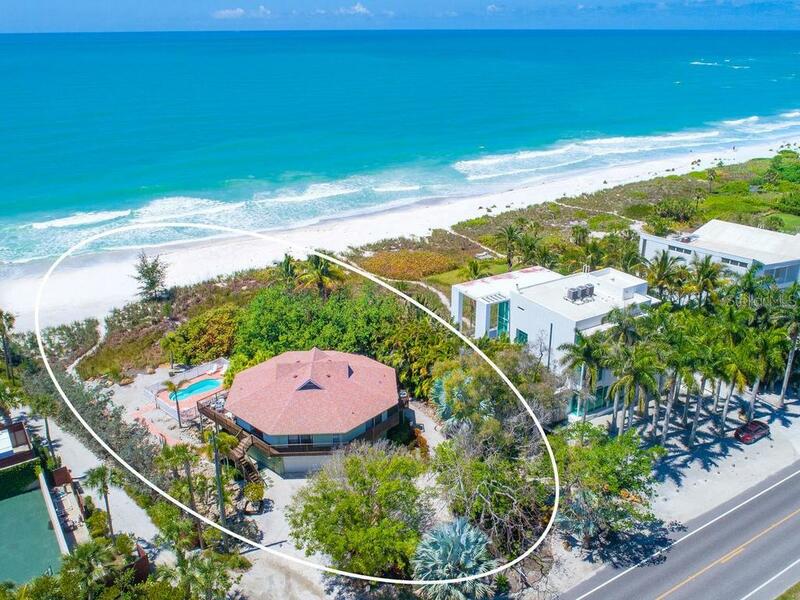 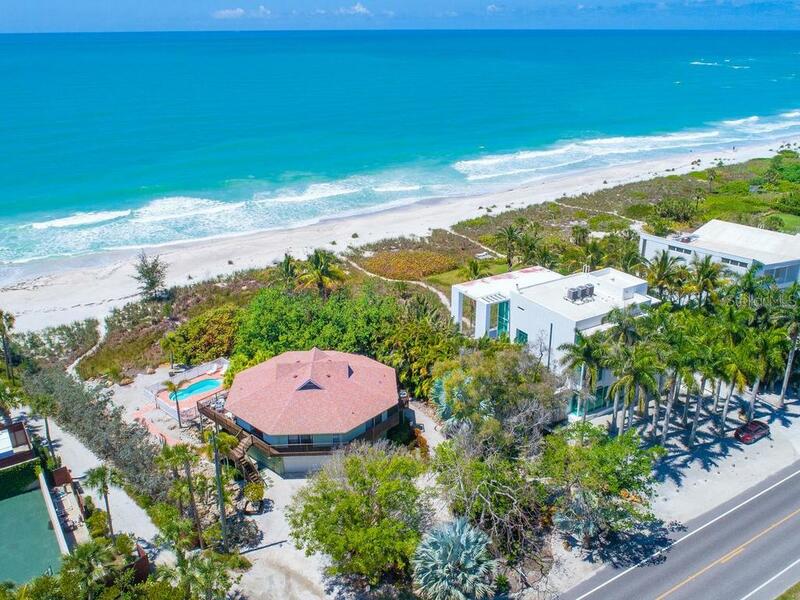 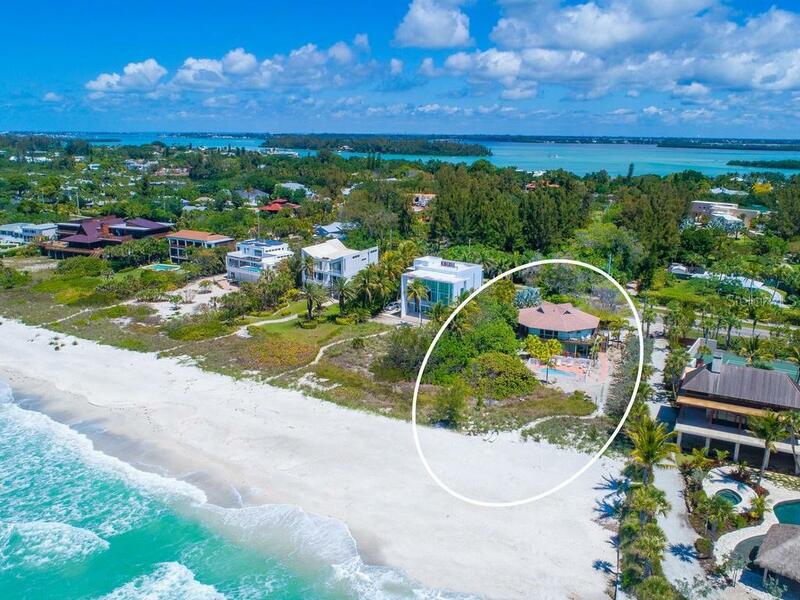 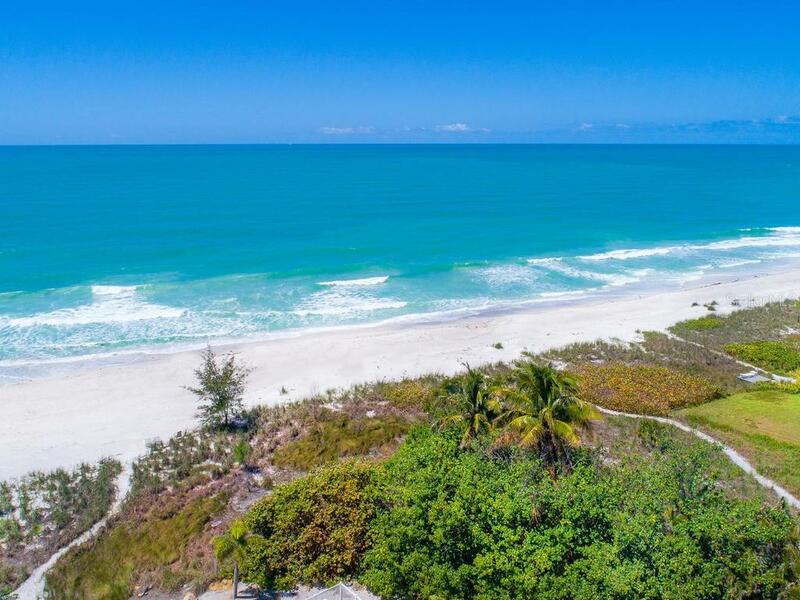 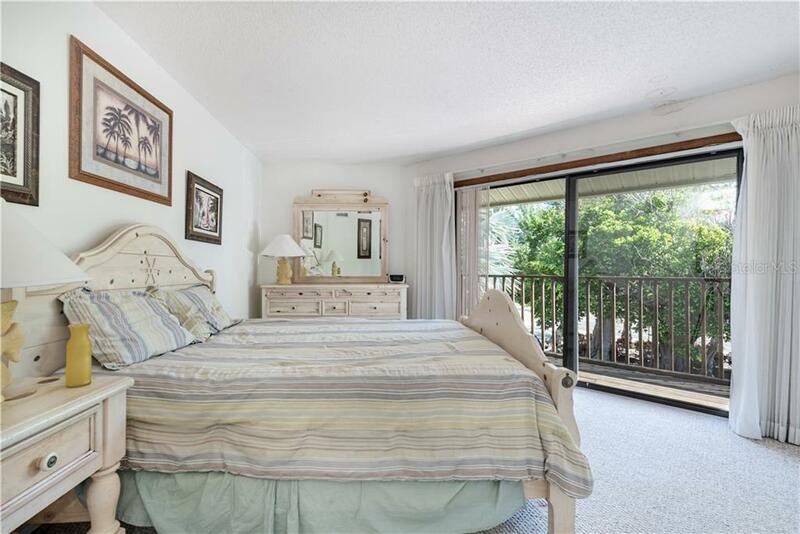 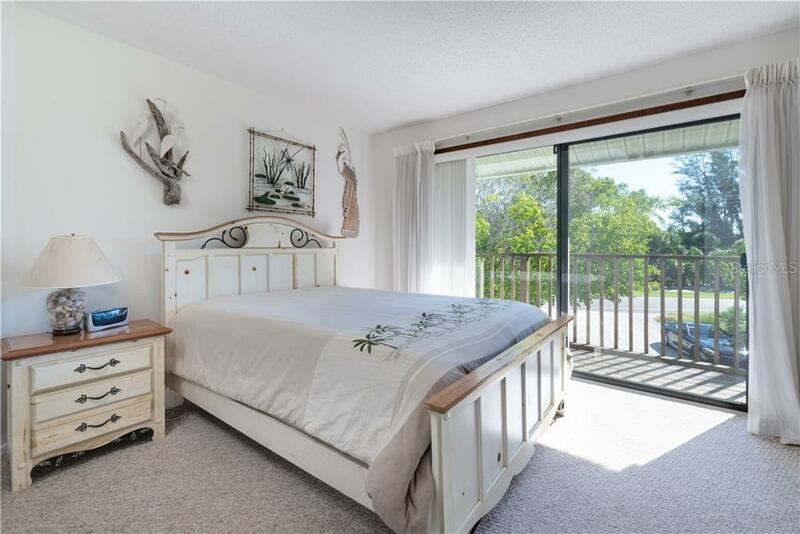 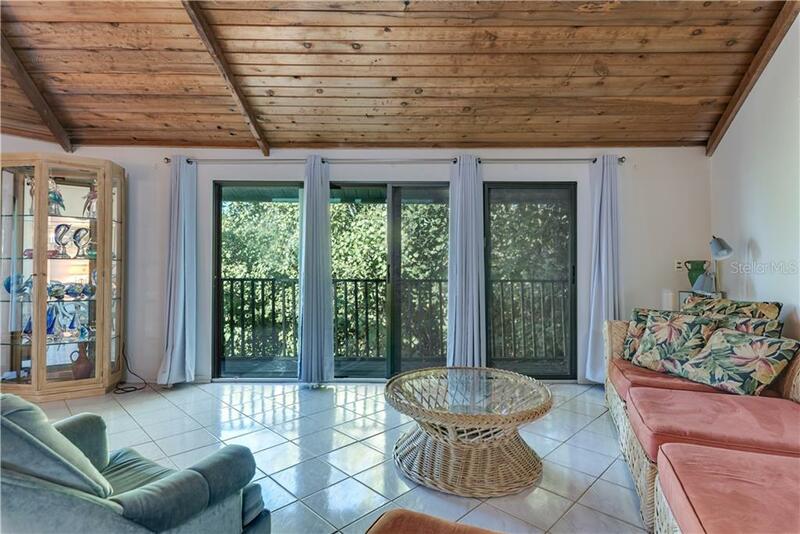 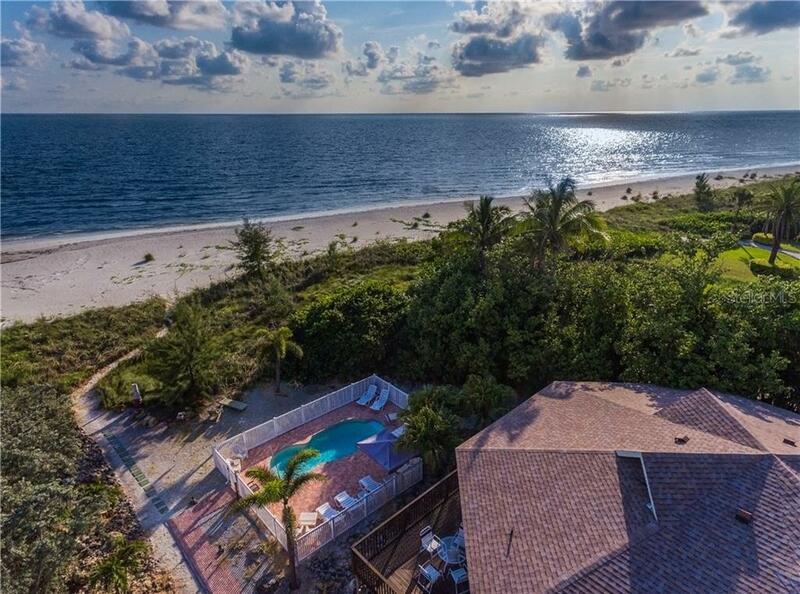 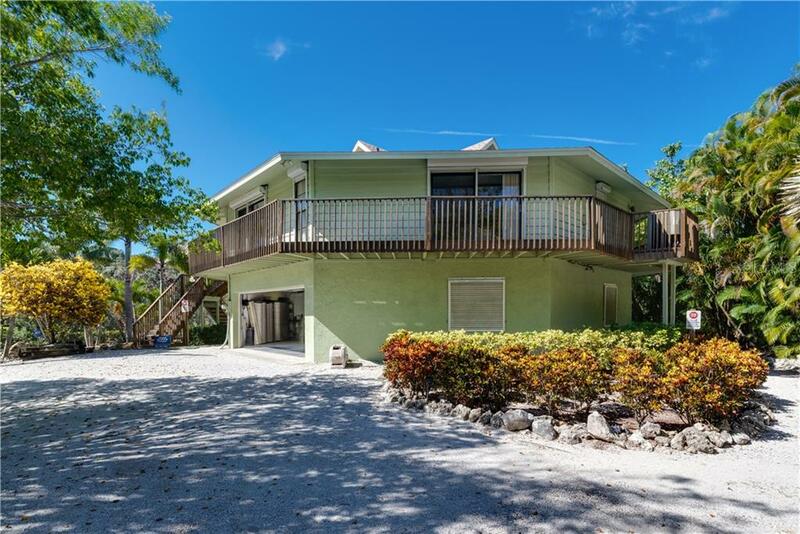 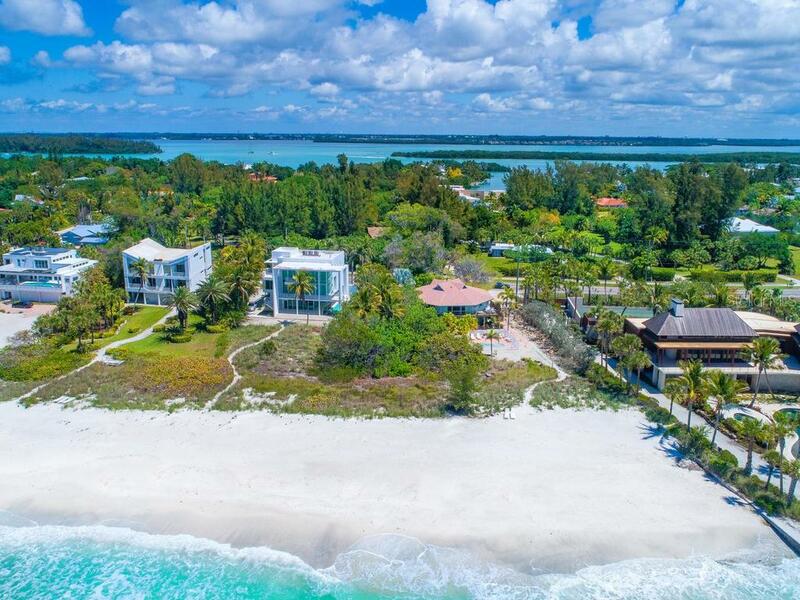 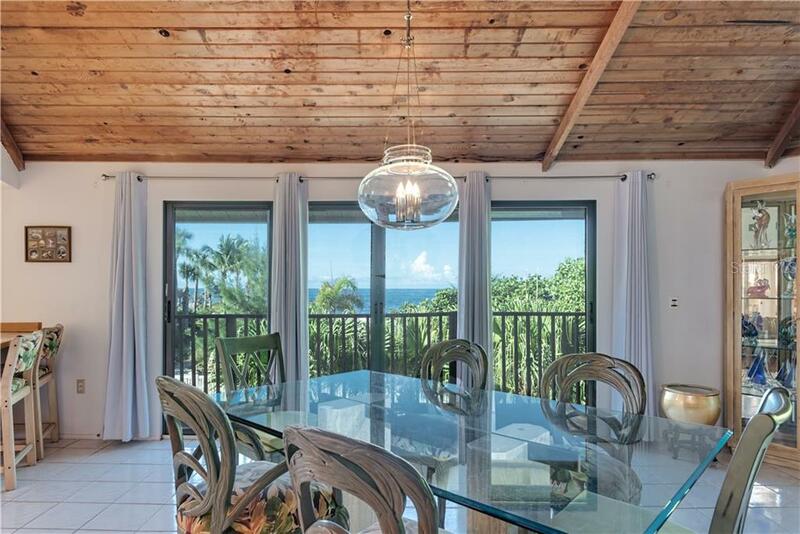 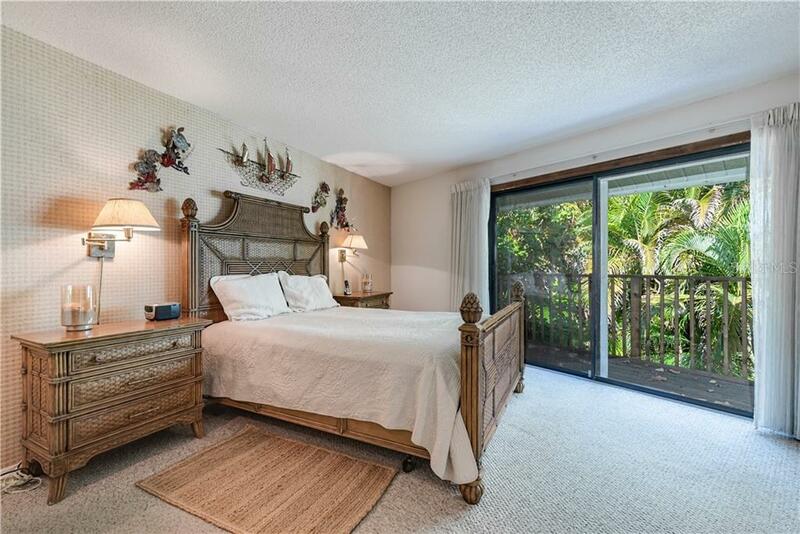 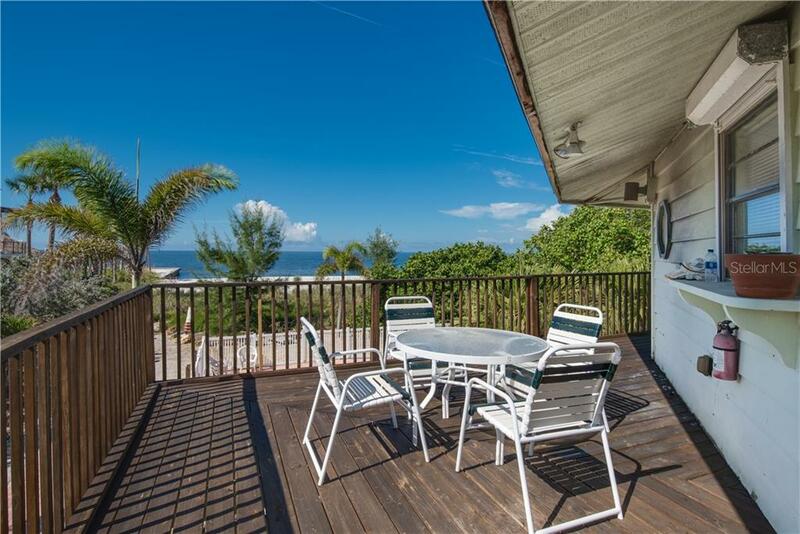 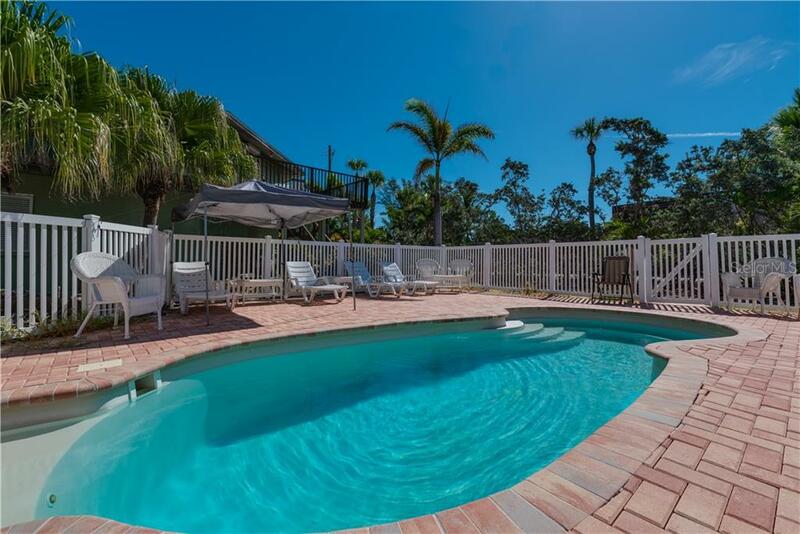 The rental history for "Beach Escape" is impressive enough but as Longboat Key updates itself (underground utilities & the new Colony), you may decide to declare yourself & make plans to establish a landmark residence that rewards your achievements.